Written on March 23, 2014 . Posted in Announcements + Updates, Liberal Arts, Updates from & for Faculty. 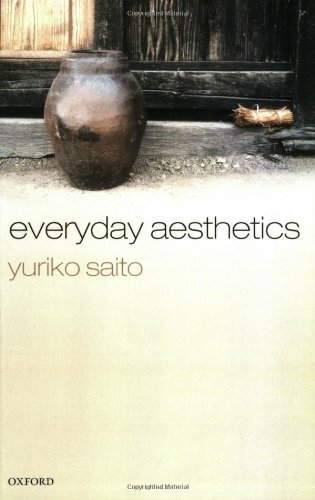 A book by Yuriko Saito (Professor, History, Philosophy + the Social Sciences), Everyday Aesthetics (Oxford University Press, 2007), was cited as one of the foundations for research on the aesthetics of hospital environment in the recent article “Aesthetic deprivation in clinical setting.” Published in The Lancet, the world’s leading general medical journal and specialty journals in Oncology, Neurology and Infectious Diseases, the authors of the article argue for the importance of aesthetics beyond the use of music and visual arts in patients’ healing and well-being. In Everyday Aesthetics, Saito provides a detailed investigation into our everyday aesthetic experiences, and reveals how our everyday aesthetic tastes and judgments can exert a powerful influence on the state of the world and our quality of life. By analysing a wide range of examples from our aesthetic interactions with nature, the environment, everyday objects, and Japanese culture, Saito illustrates the complex nature of seemingly simple and innocuous aesthetic responses. She discusses the inadequacy of art-centered aesthetics, the aesthetic appreciation of the distinctive characters of objects or phenomena, responses to various manifestations of transience, and the aesthetic expression of moral values; and she examines the moral, political, existential, and environmental implications of these and other issues.